Memorandum of Incorporation | Why is the Public Interest Score so important? Why is the Public Interest Score so important? 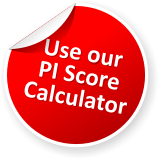 A Public Interest (PI) Score applies to every company and close corporation, and has to be calculated at the end of each financial year in terms of Regulation 26. (ii) In the case of a non-profit company, to be a member of the company, or a member of an association that is a member of the company. “Practitioners often overlook that the PI Score applies only to a company’s core, or primary activity,” says Dr John Hendrikse, co-founder of Online MOI. “Including ancillary activities in the calculation may result in an incorrect score, which in turn may lead to unnecessary costs for your client.